Three years after her ex-husband and their daughter, Yuri, disappeared to California, Mrs. Shin designed clothes by day and sold handprinted scarves by night to save the necessary sum of money to depart Seoul and come to America. In order to find her daughter, she had assented to move into a stranger's two-bedroom condo on the fringes of Culver City - like two apartments! They would share the common space, nothing more. That had been the agreement. The title story in the collection, "Drifting House," tells of two young brothers attempting to escape from North Korea to China. Why did Lee select that story as the title story? What does the title refer to? What concerns and emotions unite the stories in this collection? If you had to describe the book to a friend in a sentence or two, what would you say? Certain characters appear in more than one story; identify these stories and characters. How do the narratives influence each other and alter your understanding of those characters? Why did the author choose to connect the stories in this way? Lee reminds readers (with a welcome absence of nihilism) that hardship is worth paying attention to, not just for the empathy it draws forth, or for the strength found in characters who manage to come out on the other side, but for its ability to connect people across time and cultures. Especially recommended for fans of stories with a variety of younger narrators. (Reviewed by Karen Rigby). Starred Review. Readers in search of exquisite short fiction beyond their comfort zone - groupies of Jhumpa Lahiri (Unaccustomed Earth) and Yoko Tawada (Where Europe Begins) - will thrill to discover Lee's work. Starred Review. The limpid, naturalistic prose and the flawless internal logic of these stories are reminiscent of the best of Katherine Anne Porter and Carson McCullers. Starred Review. 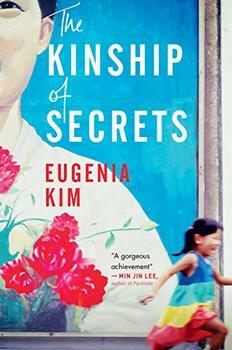 Lee writes with a clarity and simplicity of style that discloses deep and conflicting emotions about cultural identity. Sometimes, with luck, passion, and great skill, fiction accomplishes things nothing else can, things of magical and abiding significance. Krys Lee's debut story collection is such a book. Drifting House is important for its heartbreaking depiction of the often horrifying plight of North and South Korean immigrants struggling to find dignity and self-definition in their new lives. It introduces us to a subject as old as human struggle itself, and a powerful new writer of highly lyrical gifts. 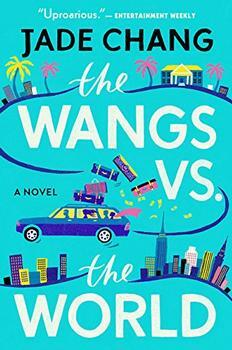 What wonderful and haunting worlds Krys Lee illuminates - a goose for a goose father, a sympathetic wife made bold by her husband's infidelity - all facets of a Korea and a Korean America made new by this exciting writer's entrancing vision. 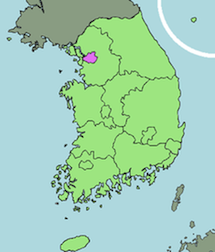 Located on the southern half of the Korean peninsula between the Yellow Sea and the Sea of Japan, South Korea (or, officially, The Republic of Korea) is a democratic country approximately the size of Indiana. It was created in 1948, after the second World War, following a lengthy period of annexation and occupation by the Japanese. 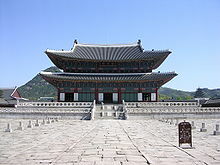 South Korea's capital, Seoul, is believed to have been originally established as Wiryeseong by the Baekje (18 BCE - 660 CE), one of the Three Kingdoms of Korea, though it has held other names. The city is now a global metropolis and major financial center consisting of twenty-five gu (districts with their own governments that are divided into neighborhoods).